This hurricane season has brought us some of the worst storms we’ve ever seen, unleashing unimaginable devastation. Hurricane Maria, the latest storm to hit, inflicted massive damage to Puerto Rico, an unincorporated territory of the United States. With wind speeds reaching up to 155 mph, the storm destroyed entire communities, weather stations, cell phone towers, and knocked out power for 100% of the island’s population. Entire streets seemed as if rivers were flowing through them due to flash flooding. Roofs were ripped off of homes and thrown across communities, with many homes simply completely demolished. Currently, the death toll sits at 13, with emergency services beginning the search for those trapped in the wreckage. However, due to the major flooding, a dam located in the northwestern area of Puerto Rico is showing signs of structural damage, prompting authorities to issue a mass evacuation of the 70,000 people who could be affected in the event it collapses. With the chaos already going on with the devastation from the storm, it is proving difficult for citizens to get to a place of safety. 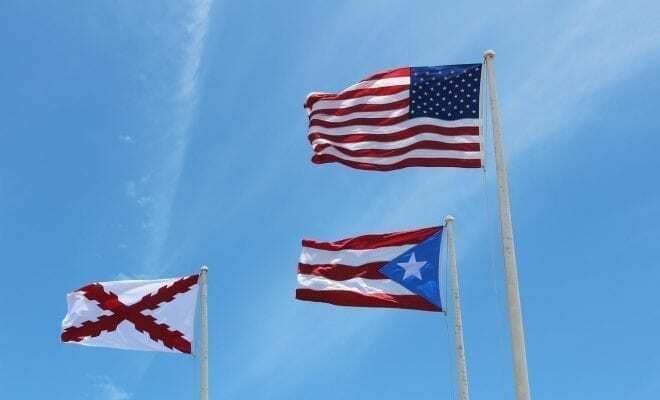 Before the storm, Puerto Rico was already facing dire difficulties with a heavy debt problem and a looming bankruptcy. With the extreme damage to almost the entire island, the effort to rebuild and repair is going to be a very long journey. Emergency relief is already stretched thin as it is with Texas and Florida requiring billions of dollars of funds. Despite this, aid will be coming from various states across the U.S..
Andrew Cuomo, Governor of the state of New York, has organized supplies and manpower to be sent to the island. President Trump, along with Homeland Security advisors, plan on traveling to the island to assess the damage and begin to create a plan of action to help the people of Puerto Rico. With supplies so scarce, and the damage so heavy, experts are saying that it may take months for the island to return things to order. Washington politicians are agreeing across the board that relief is necessary and will be given, in a rare show of bipartisan support. At times like these where chaos and devastation is unfairly inflicted upon people, it brings out the very best in mankind. Many brave men and women are back out in the wreckage, helping rescue those who are trapped or are unable to help themselves, putting their own lives in danger to save people whom they’ve never met. U.S. citizens with family on the island have been left in the dark on finding out whether their loved ones are safe. With no electrical grid or cell reception, and a fragmented government emergency relief effort, the flow of information is sparse. Many fear for the safety of those who were reliant upon hospital services that require power, most being infants and the elderly. Safety shelters are being constructed in zones that are being cleared by emergency personnel, and will be open to all in a few days. Unfortunately, even that may prove to be too long, without access to food and clean water.